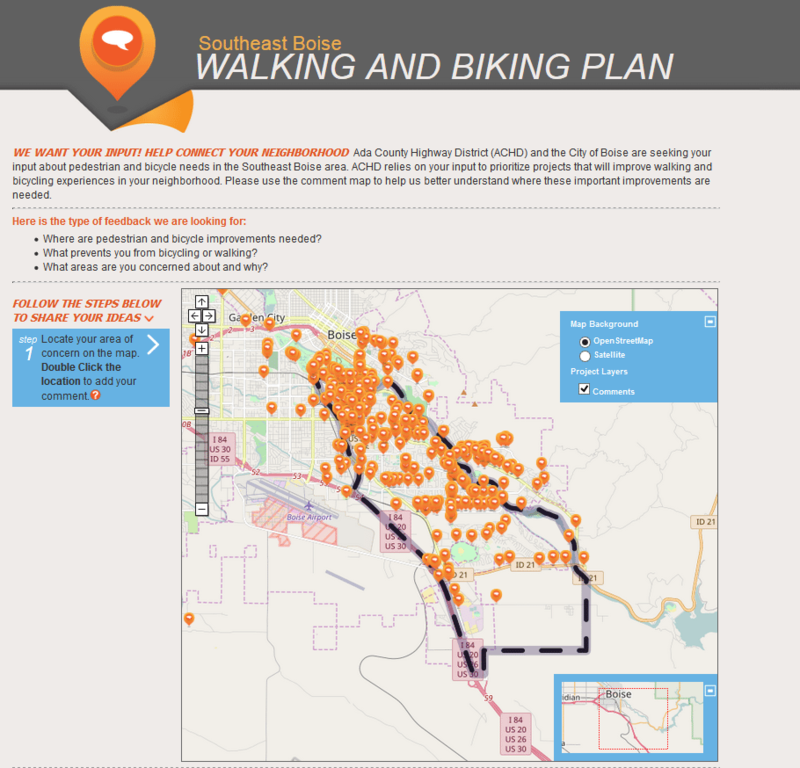 Southeast Boise Bike and Pedestrian Plan | Ada County Highway District | Gateway Mapping Inc. The Ada County Highway District sought to include citizen’s ideas and feedback as it planned bicycle and pedestrian travel routes. They understood that the people who use these facilities see the challenges and have great ideas for improvements. The District divided their service area into multiple sectors in order to manage work effectively. The District asked for response from the public for the Southeast Boise area using a website built by Gateway Mapping, Inc. (GMI) called 3P Visual. The site asks citizens to address key questions and concerns facing the area. The site also provides an opportunity for the public to give feedback by using an interactive online map and commenting tool. A citizen simply locates their point of interest on the map, selects the location and enters their comment. The simplicity of the site allowed for hundreds of comments, improving the results over those typically gathered at an open house.